Potterheads, get your wands (and phones) ready because a Harry Potter mobile game is launching soon! Harry Potter: Hogwarts Mystery will let every Potterhead out there experience what it's like to be a Hogwarts student - from getting sorted into your house, attending classes, and to casting spells - minus the looming threat of He-Who-Shall-Not-Be-Named killing you off and everyone else! A part of the label Portkey Games from Warner Bros. Interactive Entertainment, the game brings its users back to the 1980s where they get to meet some of their favorite characters like Nymphadora Tonks and Professor McGonagall. Users also get to create their own characters, develop magical skills and relationships with other characters, and even make decisions that would impact the character the flow of the story itself. It even reminds users of a line the great Albus Dumbledore mentioned before: "It is our choices, Harry, the show what we truly are, far more than our abilities." 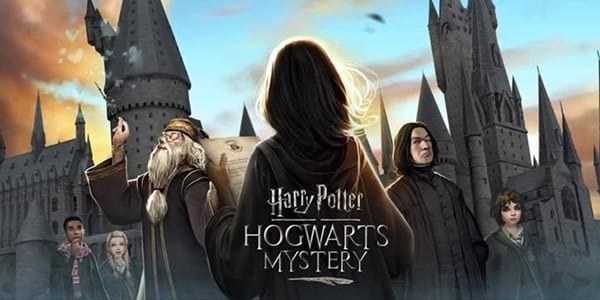 Harry Potter: Hogwarts Mystery will be available via the App Store, Google Play and the Amazon Appstore this year. For more information, you may check out their website, Facebook, and Twitter pages.